Inlanta Mortgage loan officers strive to provide our customers with the best service available. Our loan officers are dedicated to providing the kind of service that our customers expect and deserve. Here are a few testimonials provided by recent home loan customers for Appleton mortgage loan officers. “Jim Dovalis is exceptional and I would recommend him to any friend looking for a mortgage broker. Jim went from application to close in about 2.5 weeks. Jim came highly recommended, so my expectations of him were already quite high. He met and surpassed them with ease.” – Evan Z. “I really enjoyed working with Kent. He made it easy for me and kept me informed on everything that was going on. This was my first home purchase and everybody there did a really great job getting me pre-approved and processing my loan. Kent made everything easy for me to understand since I was new at this. This was a great company to work with.” – James P.
Headquartered in Brookfield, Wis., Inlanta Mortgage was established in 1993. We are currently celebrating our 20th Anniversary! Inlanta Mortgage offers Fannie Mae/Freddie Mac agency products, as well as a full suite of jumbo and portfolio programs. The company is an agency approved lender for Fannie Mae, FHA/VA, FHA 203K and USDA. Inlanta Mortgage also offers numerous state bond agency programs. Inlanta Mortgage is a multi-state mortgage banker based out of Brookfield, Wisconsin. NMLS #1016. Inlanta Mortgage is proud to be named to the Scotsman Guide Top Mortgage Lenders 2012 list and to be among the Top 100 Mortgage Banking Companies in America in 2012 and Fastest Growing Milwaukee-Area Firms. Our loan officers are dedicated to providing the kind of service that our customers expect and deserve. Here are some great testimonials for Appleton Wisconsin loan officers. “Dave Selleck is a man of his word, inspiring our unwavering trust. This is ultimately the most important quality when seeking refinancing.” – Diana B. “Dave is the best! He really broke everything down for us first time homebuyers!” – Kevin M.
“Inlanta Mortgage exceeded my expectations for my refinance. I had a couple obstacles to overcome and the broker helped me walk right through them to make the process easy and comfortable. He went above and beyond to find me the best available deal. I would recommend this company to everyone looking for a mortgage!” – Karen M.
“Jim worked diligently to make sure we met our closing date, even after we moved closing up a week. Very happy with Jim as my loan officer!” – Troy S.
“Inlanta goes above and beyond the call of duty. As first time homebuyers we were really concerned with our payment on houses we were interested in. Our realtor was able to call our officer directly and we were able to get an estimated payment on the house we were looking at. They also answered their emails as fast as they could. If it was out of office hours and it was something they knew the answer to, we got an answer right away. If it needed some work, it was the first thing they did when they returned to the office. Inlanta also referred us to a good and cheap house insurance representative that really helped us understand what we needed in that aspect. I would recommend Inlanta to anyone!” – Krissy V.
“Inlanta Mortage went above and beyond our expectations. Our loan officer was very knowledgeable and was there for us day or night. He made sure we understood every form and was able to make buying a home a pleasurable experience. I would definitely use Inlanta Mortgage in the future and recommend their services to everyone.” – Bethany M.
“Stacy Leppla and Inlanta Mortgage were so easy to work with. I saved money, had all questions answered and everything was explained in terms I could easily understand.” – Saj B. Contact a licensed loan originator in Appleton, Wisconsin by calling 920-997-8223 or online at www.inlanta.com/appleton. Testimonials for Appleton Wisconsin loan officers have been published with our borrowers’ permission. Inlanta Mortgage loan officers strive to provide our customers with the best service available. Our loan officers are dedicated to providing the kind of service that our customers expect and deserve. Here are some great testimonials for Appleton, Wisconsin loan officers. “The choice to refinance your home could not be an easier one with Inlanta Mortgage. A fast, competent, worry-free way to lower monthly payments? Who could say no? Many thanks to Dave and his team for a very positive experience with Inlanta.” – Katie B. “My wife and I have been to banks for years applying for a house and Inlanta gave us an opportunity we have worked hard for and deserved. Thanks to Inlanta.” – Justin D.
“Jim at Inlanta Mortgage was awesome to work with. It felt like he was working for us. 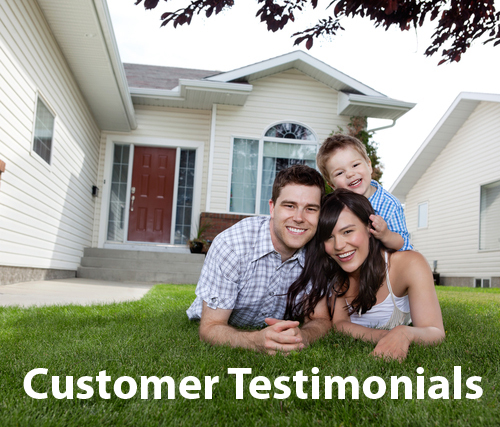 He did everything possible to make sure we understood everything about refinancing.” – Brad B. Contact a licensed loan originator in Appleton, Wisconsin by calling 920-997-8223 or online at www.inlanta.com/appleton. Testimonials for Appleton, Wisconsin loan officers have been published with express permission of the customer. Inlanta Mortgage is a multi-state mortgage banker based out of Brookfield, Wisconsin. NMLS #1016. Inlanta Mortgage is proud to be a recent recipient of a 2012 Top Workplace Award. 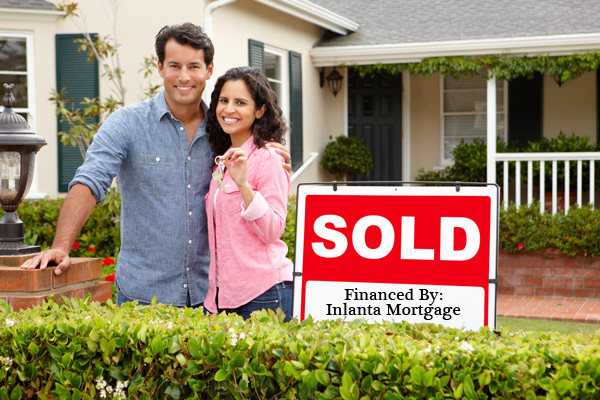 At Inlanta Mortgage, we strive to provide our customers with the best service available. Our loan officers continually go above and beyond to ensure that they provide the kind of service that our wonderful customers deserve. Here are some great testimonials from some of our partner branches in Illinois, Minnesota and Wisconsin. ʺWorking with Inlanta Mortgage was the best decision we made throughout the whole home buying process. Randy and his co-workers made the entire process a stress free pleasure, I would recommend to anyone!ʺ – Heather N.
ʺMy wife and I have been to banks for years applying for a house and Inlanta gave us an opportunity we have worked hard for and deserved. Thanks to Inlanta.ʺ – Justin D.
Congratulations on your new home, Jess & Dave! This referral is from Jess and Dave from Berlin, Wisconsin. They worked with Jesse Koch, from the Inlanta Mortgage branch office in Appleton, Wisconsin. Congratulations on your new home! “We just wanted to send a thank you for all the hard work you put into helping us. You were able to get us a loan when nobody else would and you helped us through two months worth of headaches to be able to close on our house. It was definitely a long haul and had we been dealing with anyone else we don’t think it would have gotten accomplished. We will be forever grateful for all that you have done. Even now we can still call you with questions or concerns and you are right there helping us. We will recommend you to anyone that comes our way and is having problems finding a good mortgage company, and we will be confident that you will also be able to help them.” – Jess and Dave from Berlin, WI. Our licensed mortgage loan officers are here for you – whether you are a new homebuyer, need to refinance, or are just ready to purchase a new home! Inlanta Mortgage is a multi-state mortgage banker based out of Brookfield, Wisconsin. NMLS# 1016.